Welcome to the Western New York Karate Center, Buffalo’s premier family martial arts education center. Practical, effective self-defense is our #1 priority. Celebrating over 25 years serving the WNY community. Western New York Karate Center’s Special! A 4-week session is only $49.95 and that includes a free uniform, belt and unlimited group classes (new students only). Classes are held in the morning, afternoon and evening (see the schedule for exact times), six days a week. We offer separate classes for adults and children. Register today by contacting us at 716-631-5065 or via email. Register NOW! Feed your body, mind and soul with Isshinryu Karate-Do, a traditional Okinawan style of martial arts. 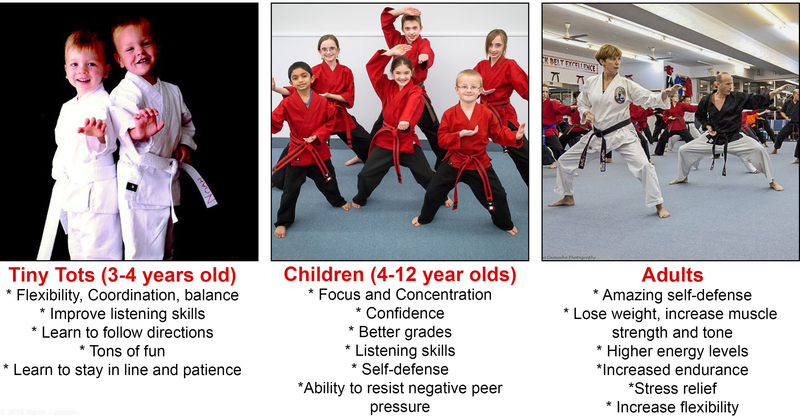 Our curriculum also includes techniques and concepts from Aikido, American Kenpo, Jiu-Jitsu, Judo and Modern Arnis to give our students a well rounded martial arts education. We offer separate classes for adults and children and also offer special family rates. Western New York Karate Center is located at 4209 Transit Rd. Williamsville, NY 14221. We are located within the Transitown Plaza on the corner of Transit Rd. and Main St. (behind the TJ Maxx store). Click here for a map of our location. Call (716) 631-5065 today or contact us today!